365+#126: 3 in-71 out: misc. Days 330-336: Hi-Ho Silver, Away! Days 281-287:Where’s the pizza cutter? Our grown daughter finally went through her stuff and gave me permission to give away most of her dolls. I thought she’d balk at parting with the Barbies but she said that was OK. Even though I’m not fond of the Barbie image, I did decide to keep a few that still had their hair – for visiting little girls of course. There are 3 very lovely dolls. I’ll try to find a good home for them. 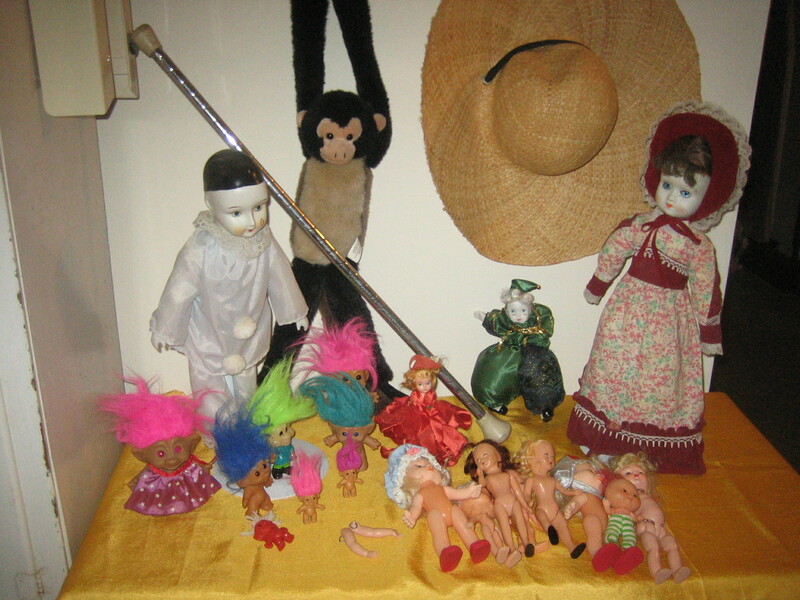 There were 8 troll dolls which have colorful hair and 10 naked dolls except for some shoes. One had lost her arms. Some of these aren’t worth even giving away. 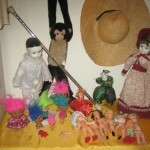 But then there is a stuffed monkey (actually that one’s mine), a Kentucky Derby style hat, and a majorette baton. (I’m not sure she ever knew how to twirl it. It may have been more a fantasy than a reality.) Anyway, since we only have one daughter, all this was like a trip down memory lane. Many of the doll clothes were rather tattered (that’s why there are so many naked dolls. 😕 ) I think it’s time to move these dolls on to other girls with big imaginations.